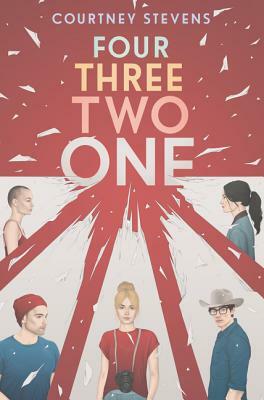 Parnassus Books is thrilled to welcome Nashville's own Courtney Stevens for a celebration of the publication of her new YA novel, Four Three Two One. Read on for important event guidelines, as well as more information about Courtney and her new book! This event is free and open to the public. To join the signing line and have books signed by the author at this event, please consider purchasing your copy of Four Three Two One from Parnassus Books, either in-store, over the phone, or online (scroll down). By purchasing your book from Parnassus, you are not only supporting a locally owned, independent business, but you are also showing publishers that they should continue sending authors to Parnassus. Golden "Go" Jennings wasn't supposed to be on Bus 21 the day it blew up in New York City. Neither was her boyfriend, Chandler. But they were. And so was Rudy, a cute stranger Go shared a connection with the night before. And Caroline, a girl whose silence ended up costing nineteen people their lives. Though it's been a year since the bombing, Go isn't any closer to getting over what happened. With Chan completely closed off to even talking about it, Go makes an impulsive decision: round up the rest of the survivors and head to New York City. There they will board an art installation made of the charred remnants of Bus 21 and hopefully reach some sort of resolution. Courtney "Court" Stevens grew up among rivers, cornfields, churches, and gossip in the small-town South. She is a former adjunct professor, youth minister, and Olympic torch bearer. She has a pet whale named Herman, a band saw named Rex, and several books with her name on the spine: Faking Normal, The Lies About Truth, and Golden Kite Honor Book and Kirkus Best Book of the Year Dress Codes for Small Towns. She lives in Nashville, Tennessee.